Fast shipping and excellent packed. It came in one of those vacuum sealed bag. Great material, very soft and warm. Very satisfied with this purchase. My Fiance is 6'6" and we got this for Halloween. The XL fit him pretty well, the legs just came up a little higher. He is very slim, so if you are much taller than 6'2" and not super skinny this will likely be a little small. These will fit everyone a little different based on inseam and general overall size. 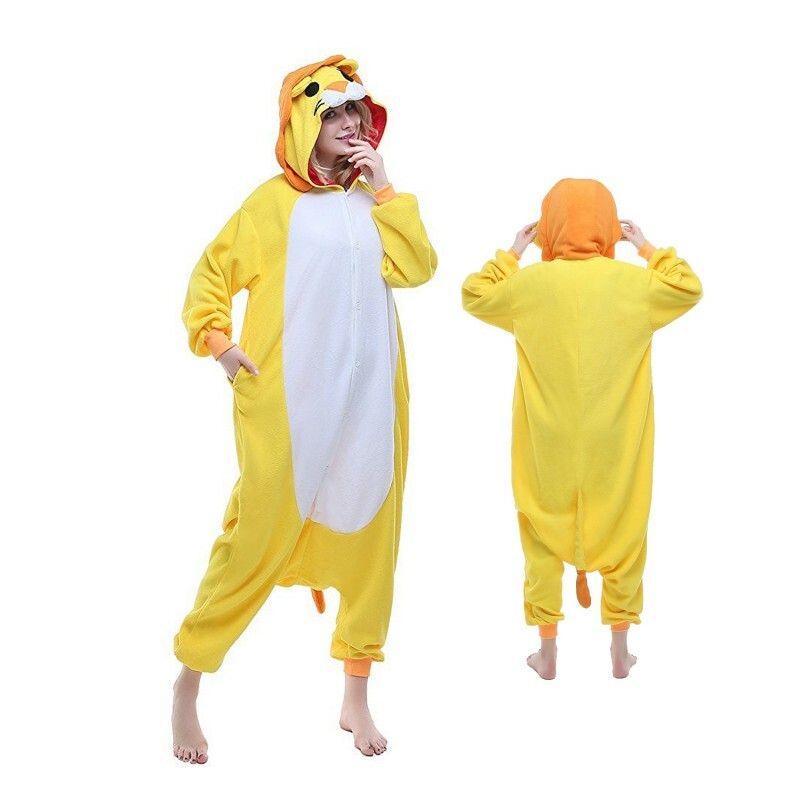 very cute animal cosplay pajamas! very suitable for me to climb together with my baby on the carpet! My baby like this pajamas very much, maybe he think his mother very like a big animal! Its super cute, I really like the cloth of the onesies because its soft and has a great quality. It fits me perfectly too. I really recommend this product!